The board is designed to comply with the MangOH™ IoT Expansion Card Form Factor. This means that it supports the MangOH™ open hardware standard defined by Sierra Wireless and is compatible with both the MangOH™ red board and MangOH™ green board. It is a great building block to get wireless networking in any MangOH™ system. 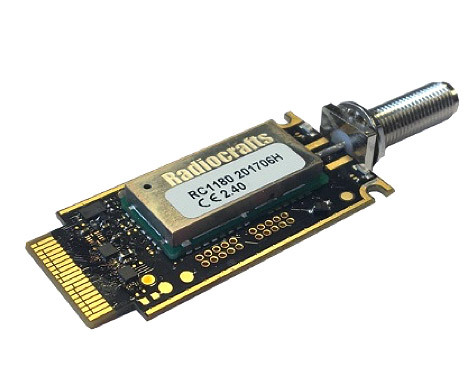 The IoT Expansion Board from Radiocrafts is designed to be the gateway in an LPWAN wireless sensor network and to provide cloud connectivity. The result is a low-cost industrial Internet of Things (IoT) solution to bring sensor data to the cloud applications. The expansion boards support industry proven wireless protocols such as Wireless M-Bus, RC232 and Tinymesh. Radiocrafts supports example source code firmware for the Sierra Wireless FX30 Gateway and the MangOH Red Open Source Gateway board. The firmware is developed to provide a demo where you send sensor data from a sensor over Wireless-MBUS to an Amazon Web Server (AWS). We provide it to our customers as a non-supported as-is firmware to provide a kick-start for a development project that has the intention of using the IoT Expansion board together with either the FX30 or the MangOH Red board. The boards contain an RF module which gives wireless connectivity and the interface circuitry to the host processor in the gateway. 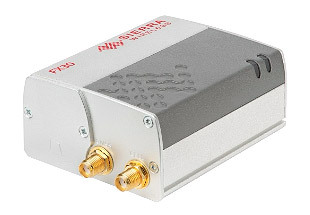 The card has an SMA connector for connecting the external antenna. The insertion board series includes several different products supporting different frequencies and radio protocols. The embedded protocol inside the RF module handles all RF communication and only data payload and easy-to-use commands are sent over the UART or SPI serial bus to/from the gateway processor. Other variants are available upon request. The documents cover general technical information about the Radiocrafts FX30 Expansion Board. The data sheet includes features, programming description, circuit diagram, and assembly layout of RCxxxx-IEB expansion boards for the MangOH boards and Sierra Wireless FX30 Programmable IoT Gateway. A demo software for the IoT Expansion Board by Radiocrafts creates a connection from the Wireless M-Bus connected sensor, on to the IoT Expansion board, then on to the gateway, and finally, up to an AWS (Amazon Web Server). The firmware is available for the FX-30 Gateway form Sierra Wireless and for the MangOH Red open source gateway board. The software was created to show how easy it is to create a complete connection from a sensor to the Cloud. The demo connects a pulse counter from a “virtual water meter” over Wireless M-BUS to the IoT Expansion Board, on to the gateway, and up to an AWS in the cloud. Read the Sensor to Cloud User Manual here. The FX30 version of the firmware is delivered pre-installed in the FX30 Sensor to Cloud demo-kit. We make the firmware available as a source code on “as-is, no support” basis for customer or partners who would like to use the code as a starting point for their own development of a sensor to the cloud solution. Anyone downloading and using the software will accept, by downloading the file, the Radiocrafts Software License Agreement for the Demo software for the IoT Expansion Board. The FX30 from Sierra Wireless is the industry’s smallest, most rugged programmable 3G/4G LTE cellular Gateway. 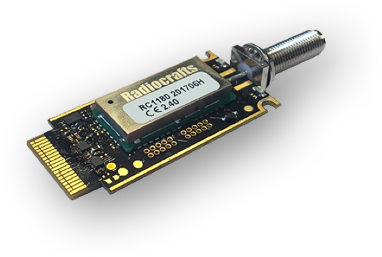 Expanding it with short range wireless technology from Radiocrafts makes it a versatile solution covering a wide range of applications and standards. The FX30 Gateway has an internal slot for expansion cards where the Radiocrafts expansion card is plugged in. The interface between the main Gateway CPU and the expansion cards are via UART or SPI. You can find more information on the Sierra Wireless website. 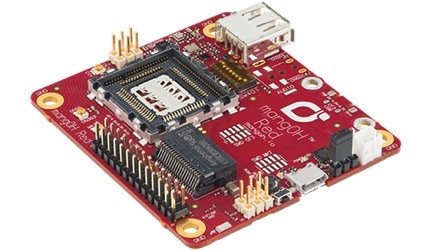 Red is the ideal MangOH platform for enabling low-power IoT applications with all the capabilities that the industrial maker community needs for collecting and sending IoT sensor data to the cloud. Build low-power IoT applications that can run for 10 years on a battery with the newest and smallest MangOH platform and send your IoT sensor data to the cloud. Have any questions? Please fill in the form below!